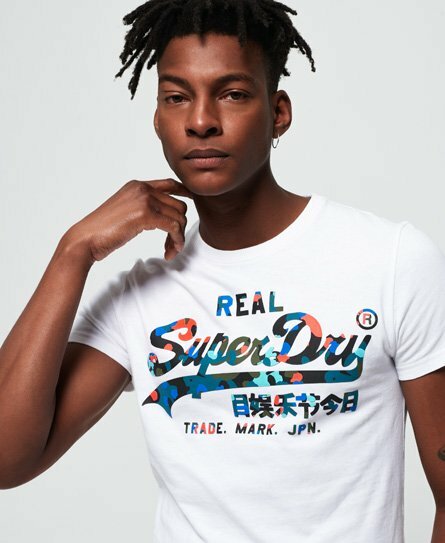 Superdry men’s Vintage Logo layered camo t-shirt. Perfect for relaxed dressing, this Vintage Logo tee is perfect to throw on with jeans and a hoodie for a stylish, yet casual look. This tee features a crew neckline, short sleeves and the iconic Superdry logo across the chest. For the finishing touch, this tee has been completed with a Superdry patch on the sleeve.